Subject : What is the New capital of Seemaandhra - Andhra Pradesh . The State Bi-Furication was started and the central team has arrived the state for searching the best capital in the newly divided state which has no capital, The Team of Sivarama Krishna team has been searching from the day of 09/05/2014 in the cities like, Visakhapatnam , Rajamandry, Vijayawada, Guntur, Tirupati, Kurnool, Kakinada and some other new formed sate with the combination of two cities to form a new biggest capital of Andhra. According to the sources in another six months total justification comes in the state new city that will lead the political formed new government. Comments are received from the readers suggesting that their city was best suited for capital. 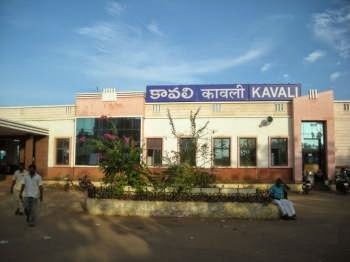 I also suggest my own city called KAVALI . Which are inter linked to the Hyderabad by Road way, Railway and also so near to the Sea shore which can develop the port area also and recently our Grand Trunk Road was filled with statues of various leaders over political parties and Independence Leaders, likely called as Tank Bund of Kavali. Kavali is a main trading centre for clothes like hosiery and wholesale readymade garments. A large number of cloth markets that flank the grand trunk road form a large component of local economy. Many readymade garments factories run in this town mostly called as second Mumbai.